Ryan Mallett – We’ve already discussed Mallett and why we don’t consider him a first-round prospect. We’ll rest on that analysis and declare that Mallett’s not No. 3 among this year’s QBs. Jake Locker – Locker, in many ways, is a coach’s dream. By all accounts, he’s an A-plus human being, a team player, and a natural leader. Plus, he has physical gifts that are off the charts. He’s big, strong, and fast. And a year ago, Locker was getting buzz as the potential No. 1 overall pick. But for all of Locker’s great qualities, his performance has never added up to the sum of the parts. 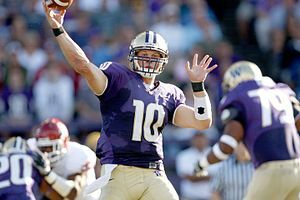 He never completed more than 58 percent of his passes in a season at Washington, and when accuracy is missing, quarterbacks fail. It seems strange to say for a four-year college player, but in many ways Locker is a raw prospect. And while it’s fine to be a developmental player, the fact that Locker is so loved by his coaches makes me wonder whether he can truly be coached up. With his good attitude, if he could have improved, shouldn’t he have already? That nagging feeling causes us to drop Locker out of the first-round range as a prospect. He’s not QB No. 3. 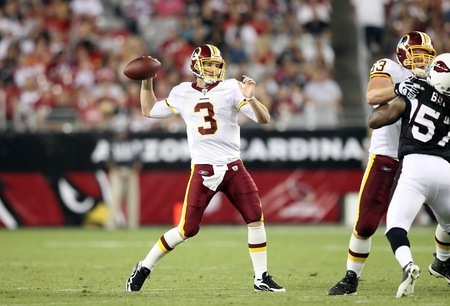 Christian Ponder – Ponder, the Florida State product, seems to be the darling of the statitistical community this year. (K.C. Joyner makes the case here; ESPN insider required.) While Ponder is efficient throwing the ball and can also move around well, there’s one stat that bothers me about him. Ponder missed two games last year with an elbow injury and four the year before with a shoulder problem. So can he handle the pounding of a 16-game NFL season? That’s a major red flag to us. 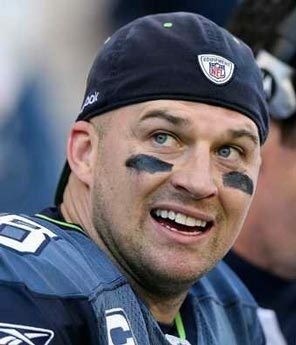 When a team invests a second-round pick in Ponder, we’ll likely praise the pick, but moving him into the late first round as the No. 3 quarterback seems to risky for us. 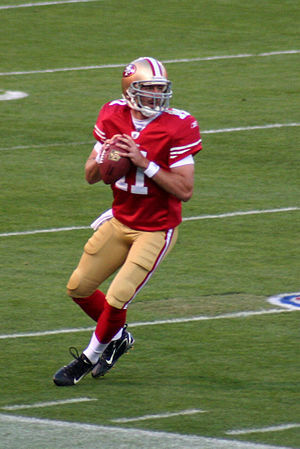 Colin Kaepernick – Kaepernick is the wild card of this QB crew. He played in the Pistol offense in Nevada, and the fact that he wasn’t often under center raises a question. But he has good size, good speed and running ability, and a ton of production at Nevada. He spread the ball around effectively and showed accuracy. And while accuracy doesn’t always translate from college spread offenses to the NFL, Kaepernick is an intriguing prospect. We won’t make him the No. 3 QB, but we’re tempted to do so. He’ll be a strong second-round pick for someone. Andy Dalton – Finally, we have found our No. 3 quarterback. Dalton was a four-year starter at TCU, and his completion percentage went up every year. He played in big games and delivered, and he has mobility. Really, the biggest drawbacks for Dalton are physical. He’s just 6-2, which is a big small for a quarterback, and his arm strength makes most analysts feel he needs to be in a West Coast style of system to succeed. But Trent Dilfer praised Dalton as a potential late first-round pick, and we agree. (As did scout Frank Cooney.) Like Drew Brees, once the 32nd overall pick, Dalton seems to be a guy who will bring a strong future at a reasonable price. So we’ve slotted Dalton as QB No. 3.